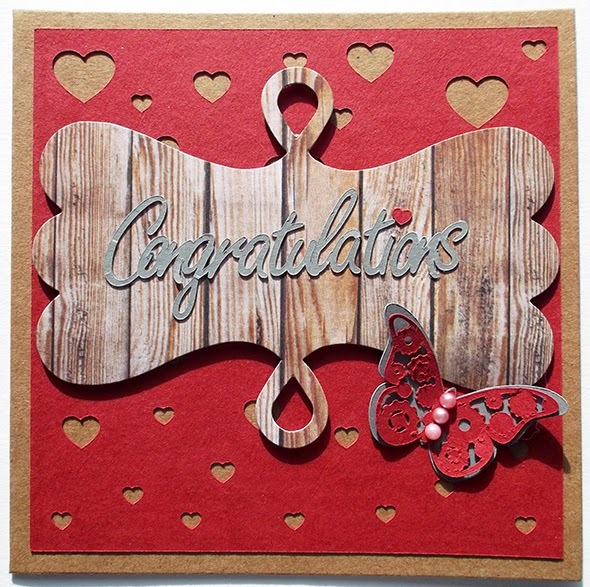 It is Nicole here today to share a card with you all. I had great fun working on this one. 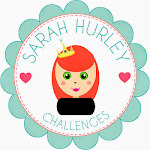 I used the Heart Confetti background design from Sarah Hurley for the background, cut from some deep red card. 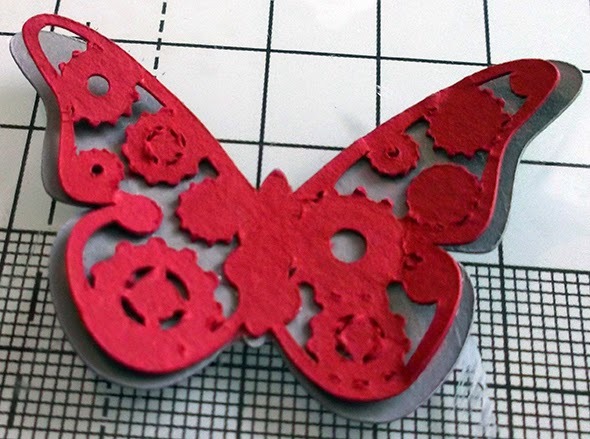 I also cut the steampunk layered butterflies, from red and grey card. 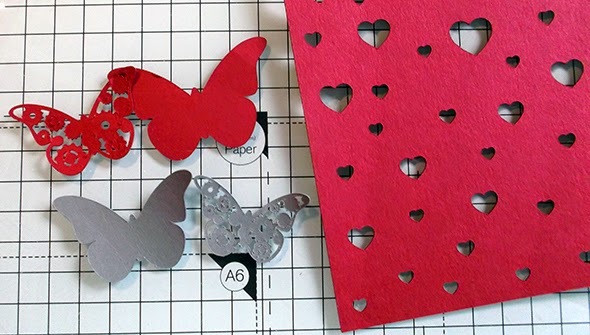 I then adhered this red background to a kraft card base and covered it with a Wink of Stella pen all over for a hint of shimmer. 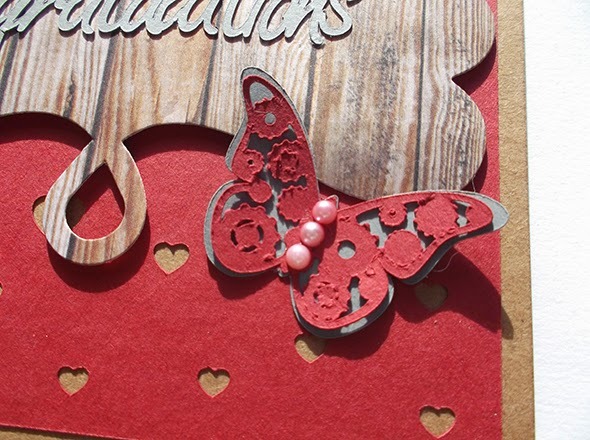 I layered the red butterfly on top of the grey and added this onto the card with some red pearls down the centre of it. 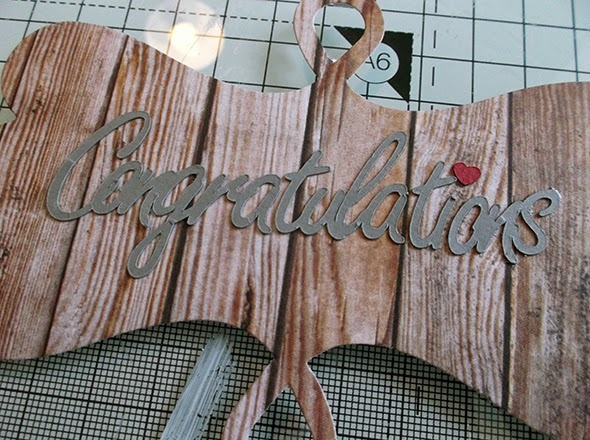 I love this Nicole, I'm still dithering wondering which cutting machine to buy and you may have just swung it for me. 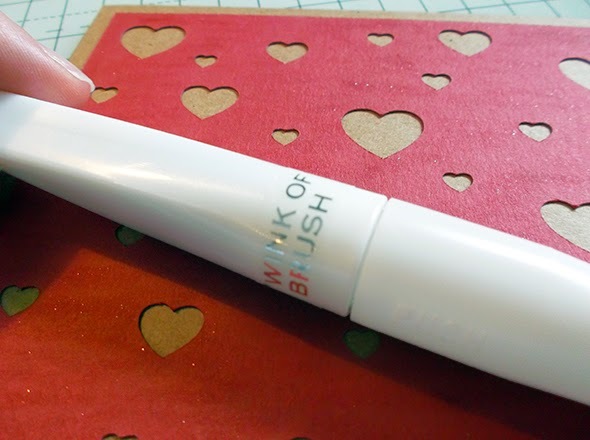 Gorgeous make.